If you are looking to buy a rollators in Kildare, you will be pleased to know that we have plenty of products for you to choose from and we stock our products from the most reliable suppliers in the country. Our fantastic selection of rollators means that we will have something that suits your budget and style. All of our rollators are made from the highest quality materials and you can fully rely on them for many years to come. Here at ISB Mobility, we stock some of the very best rollators in Kildare, on the market; our most favourable being the three wheeled walker and bag. This is constructed from steel and has a powder coated finish for durability; so it is suitable for both indoor and outdoor use. This rollator folds away for easy storage and transportation, and has solid wheels which makes for easy manoeuvrability. 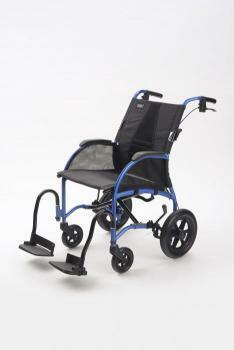 The frame is fully adjustable and has comfortable orthopaedic handles with brakes. Not only can we provide you with the rollators in Kildare, we also stock a range of mobility scooters, electric wheelchairs, powerchairs, power packs, ramps, walking frames, walking sticks, crutches, sitting aids, bathroom and toilet aids, stairlifts, and much more. We are always on hand to answer any questions or queries you may have, and will be more than happy to guide you throughout the entire purchase from your initial query through to the completion of purchase and aftercare stages. ISB Mobility provides nationwide delivery on all the products and we aim to deliver your item within 2 to 5 working days, unless you’re looking to purchase a larger item. To enquire with our customer service team about buying a rollators in Kildare, please do not hesitate to give us a call today on 01 616 7079. We will be more than happy to answer your queries, and will be able to arrange a suitable time and date for you to visit our showroom if you wish. Alternatively, feel free to fill out the contact form on our website, and we will get back to you as soon as possible.